You cant pass up a good giveaway! Also check out her blog, lovely posts! I have recently reached 300 followers on my blog! I cannot believe it! I know that 300 isn’t a massive number but I’m so proud of myself for doing something that I enjoy and of all the new friends I have made through this beauty blogging world. It really is amazing to be able to connect with people all over the world through a mutual love of beauty and lifestyle! So, to show my appreciation for all the support and love that you all have shown to my blog and myself, I have decided to host my first giveaway! Yay! 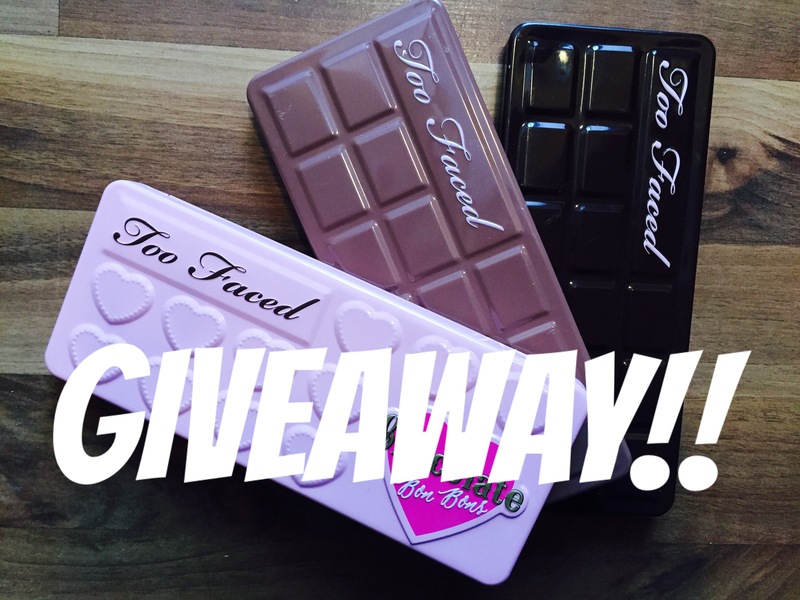 The winner will receive a Too Faced Chocolate Bar palette of their choice**! I figured since they are one of my favourite series of palettes, I would share one with you! The choices are between the Original Chocolate Bar, Semi-Sweet Chocolate Bar or the Bon Bons Chocolate Bar.